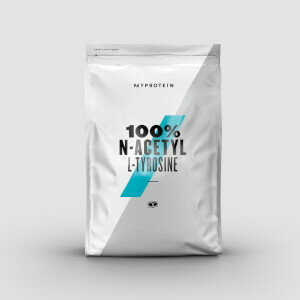 L-tyrosine is a naturally occurring amino acid that can be found in small amounts in a range of foods. Getting it from your diet can be costly and time consuming, so we’ve created a convenient powder that can be easily added to your daily smoothie or shake. 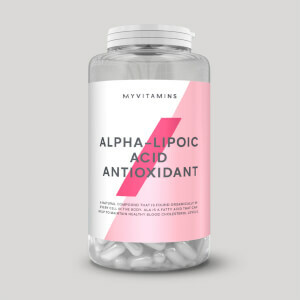 Amino acids occur naturally in protein which helps to build and repair new muscle1 — super-important whether you’re trying to add size or get shaped and toned. Our convenient-to-take powder can be added to your usual supplement regime to help make sure you’re getting the tyrosine you need. When to take 100% L-Tyrosine Amino Acid? Add 500mg to water, juice, or your usual whey shake 1-2 times daily. Please do not exceed more than 2 servings in 1 day. What does 100% L-Tyrosine Amino Acid work well with? Combine it with other amino acids to create your own blend — leucine naturally occurs in protein which helps to build and repair muscle,1 so add our 100% L-Leucine Amino Acid. I got this to manage concentration and restlessness related to ADHD. 1500mg morning and lunch dissolved in water/juice. A bit powdery, but no real taste to speak of. Great combo with 5HTP, really good instant results for getting boring stuff done at work and home. Couldn't recommend this product highly enough. I take 2 mini scoops 2-3 times a day with juice and a vitamin B complex. Works better than caffeine in terms of mental awareness and I have reduced my caffeine intake by 50% as a result. Also it increases 'good mood'. I bought a 250g packet months ago and am still not even half way through it. In sum; great product, virtually tasteless and very affordable. Juice particularly as the product has a slight taste in water and vitamin C, B6 and B12 increase bodily absorption. I take 1/4 tsp of L Tyrosine upon waking and another 1/4 tsp an hour later. It really does help improve low mood. Tyrosine is a precursor to noradrenaline, and low noradrenaline causes symptoms of low mood in some people. I've been on this dose for nearly a year. I use a 1/4 teaspoon measuring spoon, for accuracy. I know that this is a high dose, but for me it works well. It has no taste, so I just mix it with water. Gives that buzz you look for in a pre workout! Have taken this supplement as directed and can feel no discernible effects on performance etc... it mixes well and is practically tasteless, but didn't do the job for me I'm afraid. Myprotein is great to deal with. The site is informative and easy to navigate. My L-Tyrosine arrived quickly after ordering and was well packaged. It mixes well and doesn't have any real taste, so it's easy to use. I feel it kick in after about half an hour. I would recommend getting the measuring scoop though for accuracy. Pricing is very competitive. I'm getting back into shape after a bad year and I'm recovering from two major operations from injuries. This has helped as I'm building up my endurance and strength. I am really on track thanks to the help of your products, and my goal is in sight again now. I'd recommend the company and products to any one (and have done). Be careful not to overdo it - as I had no mini scoop provided I had no idea how big the portion of 1g should be (as a concentrate of active ingredient could be lower in that "white powder"). After taking 2-3 teaspoon each morning with my shake I had a couple of sleepless nights and by Friday I felt really ill. I almost collapsed in an office and I still didn't link it to tyrosine overdose! Only after I ordered separately a mini scoop I have realised in horror how much I was taking! L Tyrosine arrived in less than one day after ordering. I am taking heavy duty exams right now and getting back in shape after months of studying, and it seems to be helping both. I will be buying further supplies from MyProtein of this and other products as I have found a company in which I can place my trust.